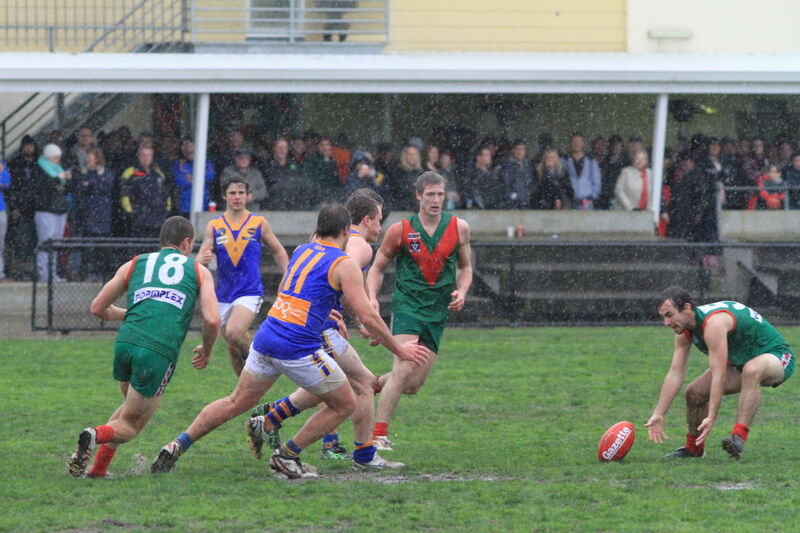 When Tooradin-Dalmore hosted Cranbourne on a dirty July day last year, the home side found scoring goals to be a difficult task. 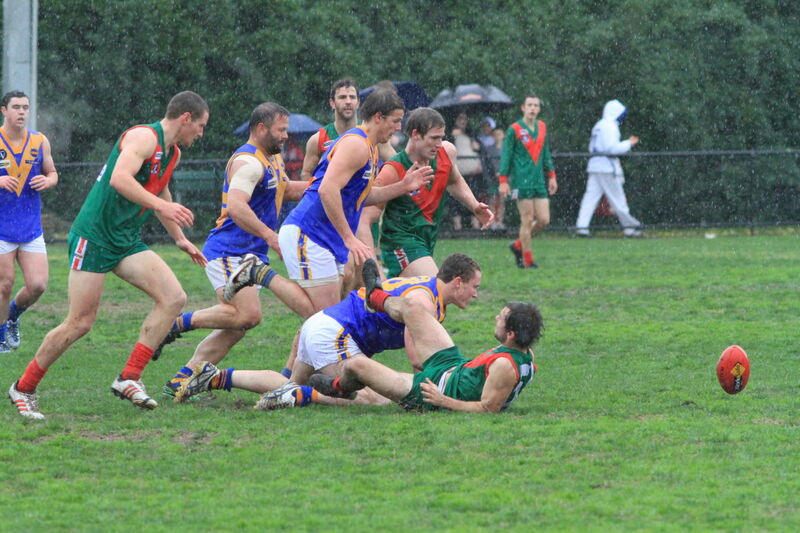 Tooradin finished on 1.11 (17), with the Eagles managing 10.5 (65) in the slippery conditions. 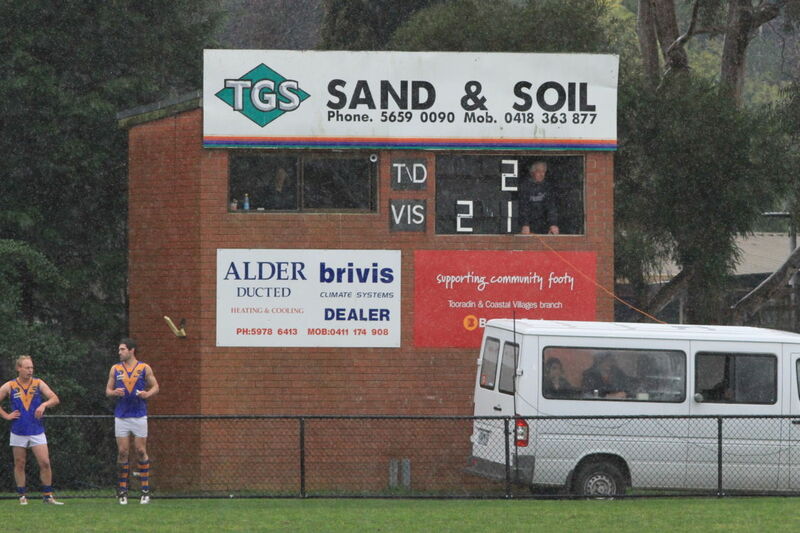 The scoreboard at Tooradin is a rather interesting flip-number affair. The points section of the board was not in use on this day, so the scoreboard attendant is not blocking the view of his own work. The 97.7 fm 3SER radio bus is parked in front of the scoreboard. The Seagulls have struggled a little on the field in recent years. Playing in the strong Casey-Cardinia league, Tooradin is up against rapidly expanding suburbs like Narre Warren, Pakenham, Beaconsfield, Berwick and Cranbourne. Tooradin’s most recent successful era was in the late ’90s when it won a West Gippsland FL grand final and lost another. The Tooradin Recreation Reserve is a pretty decent place to watch the game. The Tooradin Sports Club adjoins the ground, while the football club facilities provide plenty of shelter on this kind of day. 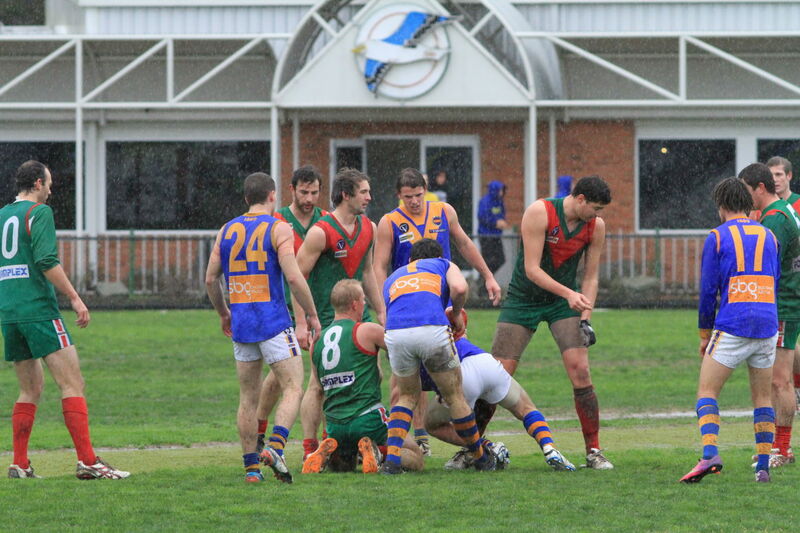 Tooradin’s unusual jumper of green with red vee is also worthy of note.